Eureka! You have done it! Yes, you have figured out what you want to do! It is to start a subscription box business. A subscription box is just the launchpad for your business expansion. From a subscription box business, you can expand quickly into the e-commerce market. 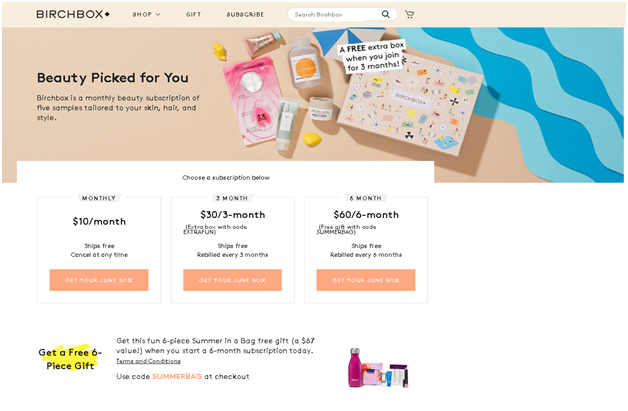 Using its target audience, you can think of widening your base with an e-commerce platform like beauty box toppers Ipsy did. Debuting in 2011. Ipsy stands tall with 2.5 million subscribers and has amassed funding of $103.2 million today. Not resting on these laurels, Ipsy launched its complete e-commerce site Ipsy shopper which is exclusive to Ipsy subscribers with 30,000 products on sale. From subscription services, you can easily expand to brick and mortar stores. Having tasted success in the subscription box business, companies like Blue Apron are trying to open Retail “pop-up” stores across the US. Canadian Frank and Oak has gone a step further and established a network of 16+ stores. If you already have an e-commerce platform, you can diversify into subscription boxes and garner extra revenue. Major retailer brands have found success and extra revenue by launching their subscription boxes. P&G, Walmart, Target are major contenders in the fray. Canadian apparel brand Frank and Oak, based in Montreal started out with its e-commerce store in 2012 and soon backed it up with a subscription service called Style Plan which boosted sales by 243% in the first year alone. Customer engagement is maximum which means you will have a maximum recall. So why wait?- Begin your subscription business right now using the 12 commandments of this Subscription Bible. This guide will help you how to build a subscription box, launch it and get your first customers. How to expand and grow your Subscription Business? Discovery model of a subscription box wraps up few samples of relatively new products. The subscription box launchers source these products from companies launching new product lines or startups. Sometimes, you might even get the products for free. The Discovery model box can be further classified as a “Surprise” Box or an “Explore” Box. Here the customer has heard of the product but is yet to have a firsthand look. He is exploring the new options that the box offers as he tries the products of the known genre. The customer is in for a total surprise as he does not know what product he would receive each month. The Surprise box gives the customer the joy of discovering the product like Columbus discovered America. This UK-based “monthly boxes for miniature paintings” has both of the above types. Explore-Its “heroine” and “monster” varieties offer themed boxes of the said genre with items which you have never seen before. Here the customer knows what he is likely to get -a monster or a heroine miniature but not what he will exactly get. 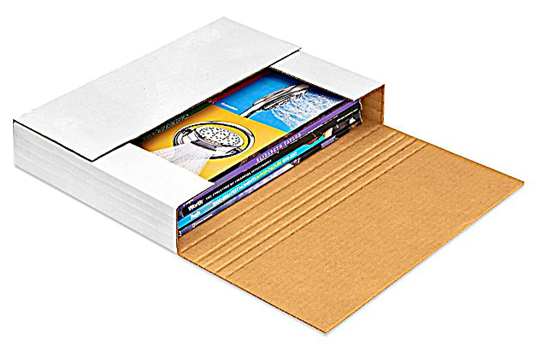 Surprise – this discovery box variety is for the curious miniature artist who has no clue as to what he will get and is ready for a total surprise. Curation boxes take pride in “careful selection of products” to suit the subscriber’s taste. Makes the customer feel like a connoisseur of vintage art, isn’t it? Yes, these curation boxes are of 2 types depending on the type of customization offered. These “specially screened” boxes hold items which are handpicked by specialists to suit your taste preferences. 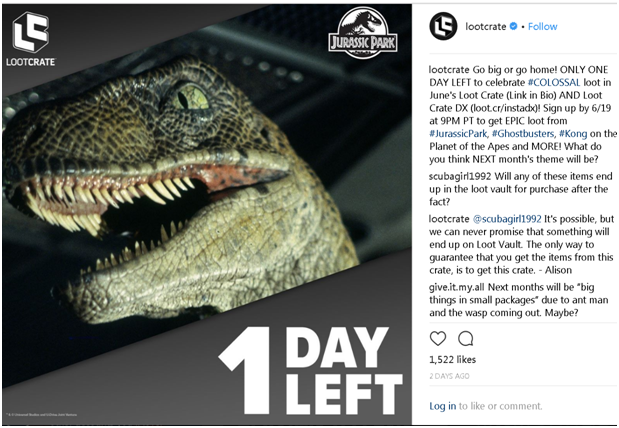 Lootcrate is one of the most popular curated subscription boxes for gaming geeks. Every month a $19 box gives a chosen collection of games, figurines, t-shirts, stickers, candies and even drawstring bags! This pop-culture collectible sub box was launched in 2012 and has grossed $18.4 million in Series-A funding recently. 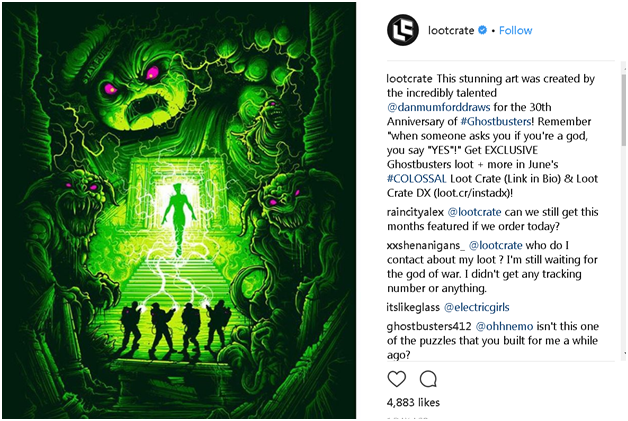 With an enviable 4.9% conversion rate, Lootcrate has currently 600,000 subscribers and an assured annual income of $100 million. Expanding beyond into the anime realm, Lootcrate is all set to partner with Microsoft studios for a new subscription centered around Halo. 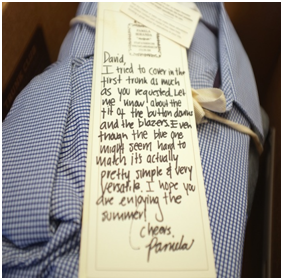 The “personalized” boxes present items that are tailored to suit the end user’s style. Stitchfix – this $20 subscription box gives the subscriber 5 pieces of clothing accessories and footwear personalized to your preferences. The most appealing factor here is that the subscriber pays for only what he/she likes and the rest are returnable. Founded in 2011, this customized apparel subscription box business has made a whopping $42.5 million with just $120 million raised from IPO. Ipsy – Ipsy tops the list among discovery subscription boxes bagging 3 million subscribers towards the end of 2017. YouTube Vlogger Michelle Phan started this glam subscription box in 2011 as a $10/ month subscription box service for beauty and glamour products. Ipsy is now valued at a whopping $800 million and has raised a total funding of $103.2 million from investors like TPG and Sherpa Capital. Birchbox – Established in 2010, Birchbox made waves in the subscription industry with a million subscribers and 800 brand partners. Its Company value stood at $485 million in 2015. 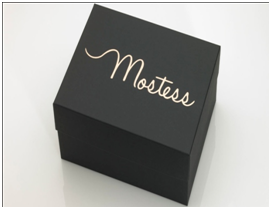 Glossy Box – Launched by the Samwer brothers in 2011, this beauty-glam box raised $72 million in its 6-year run and has now been acquired by the UK-based e-commerce retailer The Hut Group for an undisclosed amount. Some people always go for the “tried and tested”. For people like these who just want to get a repeat order placed for the same product every month, this convenience subscription box is just the thing. For the bare necessities of life, convenience model subscription box is the key. The shopper knows he will need the item every month and he already favors a brand. So he saves himself the mundane routine of shopping for it each month at the convenience store by getting delivered monthly via a subscription. convenience subscription boxes zoom in on the “time and cost saving” factors that appeal to regular customers of a loyal brand. Abel & Cole – This UK Supermarket chain has its Monthly Cheese boxes with new organic cheeses every month for £14.50 with tasting notes. Purple Box – This monthly box from Purple Bone is a boon for dog owners with its offering of homemade dog chews, squeaky toys, dog hygiene products and even biodegradable poop bags for just £ 14.99. Both the above subscription boxes aim at convenience, cost-savings, and comfort for the customer on a monthly basis. Usually, grocery, medicine, pet and self-care supplies are ordered on convenience subscription basis. Dollar Shave Club – The Dollar Shave Club is still to date the most successful among the convenience subscription boxes. Started in 2011 by Mark Levine and Michael Dubin, this monthly subscription service offered twin blades with a reusable handle at just $1 plus shipping and handling. Their initial campaign video was such a hit that they bagged 12,000 subscribers in just the first 2 days! With just 190 employees but a stunning 3 million subscribers, the Dollar Shave Club was acquired by Unilever for $1 billion in 2016. ​​​​​​​​​​​​​​Blue Apron – Founded as a grocery delivery service to help with meal planning. Founded in 2012 by Ilias Papas, Matt Salzberg, and Mathew Wazdiak, this Company rose to great heights with its revenue standing at $881 million as of March 2018. Harry’s – Founded in 2011, Harry’s specializes in offering customized shaving solutions as monthly subscriptions with German engineered blades, quality razors, and shaving creams. They have raised a massive funding of $474 million and even acquired one company Feintechnik who is a professional blade manufacturer. The discovery element allows you to choose new variations for the products. You can experiment with new box variations that suit your marketing strategy and budget and at the same time satisfy the customer’s need for novelty. Scaling the box according to your customers budget is easy with discovery boxes. Based on customer feedback, you can downsize the box or go for items that have a huge calling. Curation boxes allow you the liberty of sourcing supplies through varied vendors. The dynamic variations of your box allow you to explore new business ideas. Curation of new samples every month is a challenge. If there are 20,000 customers, you might have curate 10 different assortments every month to please them. Risks of rejection of surprise samples are high. There is a constant pressure of living up to the “surprise” standard. Customer loyalty is difficult to ensure due to the varied mix of items. As a number of subscribers increases beyond 3000, sourcing enough volume of samples is definitely difficult. Ensuring product quality is also difficult when there are large volume samples causing hiccups like product mismatch or inferior brand offerings. Convenience Subscription boxes bank more on offering ” reliable” services with assured quality, timely delivery, cost discounts and convenience rather than “novelty, suspense or inspiration ” which are the theme for discovery boxes. Look at what AlleyWatch has to comment on customer loyalty and convenience subscription. The convenience model offers a predictability of revenue every month which is a great asset for budgeting and bookkeeping. Better planning of the business is possible because of assured customers and inventory in convenience boxes. You have your regular customer who buys from your every month. Convenience box customers seldom drop off unlike the ones in discovery boxes, provided the extra benefits you offer to continue. Customers are afraid of vendor-lock-in as they cannot leave before the specified period elapses. The constant need for new customers as there is no guarantee that your monthly shoppers will continue to subscribe. Brand patrons already exist. The value addition is in the “surprise” product offering. The value addition is in the discounts, service and fringe benefits. Churn or customer loss is higher due to the unpredictable nature of brand offerings. Churn is lesser as the subscribers are using a known brand and have chosen subscription for cost and service reasons. LTV of the customer is low as the customer may soon lose interest in the “surprises” offered LTV of the customer is high as they go in for repeat orders if they find the cost and service benefits satisfactory. Subscribers often join by word-of-mouth recommendations or by online reviews. Subscribers join only if they have a strong need for the product or if they find rich incentives like price, delivery or service. We may not be a Zidane, but we sure can tell you how to choose and validate a niche for your subscription box in our next blogs. How to choose a niche for your subscription box? According to Hitwise, there are 5.7 million subscription boxers in the U.S. today. You must jump into the water in order to swim. So let’s get busy jumping into the fray of subscription boxes and identifying what could be our niche to fit our subscription box in. Why do you need a niche for a subscription box? The absence of originality and a niche market is the top reason for subscription box companies to fail. Uniqueness is the absolute necessity to make your subscription box stand out and it all begins by identifying a “niche” market. A niche is best understood as a set of products that satisfy a particular need. The better you define your niche, the better the chances of locating a steady audience and the better the chance of success. In order to outline your niche, this is what you have to do. Scan the market using survey tools like Questionpro or Surveygizmo. Use Google Keyword Search Volume to find out how many people are searching for your niche product. This gives you an idea of the viability of the project. Use Google Trends to see if the market is growing or not. After niche, comes your niche product. What product differentiation are your going to offer to your customer? Does your product satisfy these criteria? Must be within your reach or capability to run the show. Must be a recurring need. PowMau is one such subscription box which not only identified its niche as “outdoor gear” but crystallized its product as “surf and snow”. every month, they box unique products that serve as accessories for fun outdoors- right from sunglasses to ski balms to solar lights and beach bags. What is their gender, age, social status, affordability etc.? Why should they buy my product? What are the likes and dislikes? What are they looking for in this genre or niche and missing from the competitors currently? Who is leading and who is failing and why? What are the products in their boxes? Is their frequency monthly or quarterly? What is their value proposition? Collate this in an excel sheet like this and gear up for tackling your competition head-on. Service benefits like gifting, personalization etc. Now that you have zeroed in on the “necessity of the niche”, let’s start validating the niche, shall we? Validating an idea is like counting your chickens before they hatch and making sure they do. Saves time that could be wasted in developing a product none will buy. First, create an elevator pitch and float this product idea in local meet-ups. Assess their enthusiasm and jot down their feedback. Try convincing some of them to actually become the first subscribers by depositing an initial amount for a well-earned discount that might come later. This level of commitment in funding your subscription box will be your launch pad. A Landing Page is a must to collect the customers’ email addresses. Make sure your landing page is not only attractive but has some value offering that will entice the customer to leave his email address there. Use Unbounce or LaunchRock to create an interactive landing page. Social media is a powerful weapon.Depending on where your target market hangs out (Facebook, Twitter, Reddit, Snapchat, etc) drive traffic to your landing page and see if people sign-up or not. Crowdfunding platforms like Kickstarter and Indiegogo are the best to gain momentum for your niche idea and corroborate it. Start with minimum initial funding and try to source funds through the campaign within 60 days. Screen a teaser video with a description of a product idea and watch the reviews pour in. Crowdfunding not only helps to identify your potential subscribers but also helps you to muster the money to finance your inventory. One such successful subscription box that used crowdfunding was Thimble with its monthly offering of electronic build kits. A whopping amount of $295,760 was raised in 60 days from just 1776 subscribers. With the help of Shopify, you can have your store up in a jiffy and start pre-selling your product or selling its samples. Once you have validated and sure your idea is going to work, its time to proceed and start sourcing products for your box. Keep these points in mind about your product during its procurement. Product procurement is easier as the brand is fixed Product procurement requires thought and innovation as you need new products every month. Vendor reliability is vouched for. New vendors have to be scouted for new brands every month. Timely delivery is assured Timely delivery might be a problem as new brands need to be sourced. Looks like sourcing products for convenience boxes seems easier. But discovery boxes are carrying on undaunted. How? Take a look. How do discovery boxes solve the problem of constant curation? There is no dearth of vendors in the e-commerce world. But before you start scouting, fix your mind on what you want to do. A number of discovery boxes have worked on the free samples model. Here the vendors supply free samples in exchange for customer information and feedback data. Consumer brands cannot afford to supply thousands of free samples free of cost. The monthly subscription box variation will turn to be limited due to non-availability of free samples. Lost focus as the value proposition shifts from “curation or novelty” to “retail value”. Free samples mean small size variants which are sometimes practically no use. 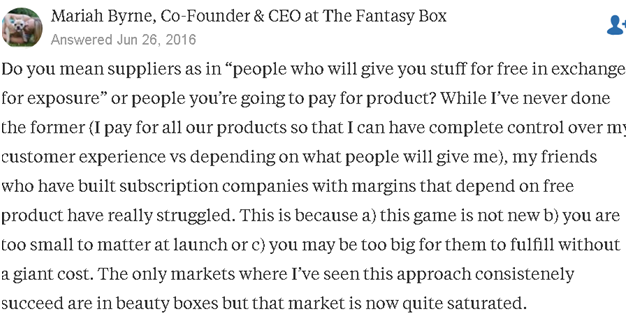 Due to tiny samples, you cannot afford to fix a “high” price for your subscription boxes. Vendors have to bear the cost of the samples with packaging which is not attractive to them. Both samples and full sized items can be sourced. Elementary, my dear Watson. you just have to look for them in the right place. Facebook Groups are one of the best communities to look for vendors. 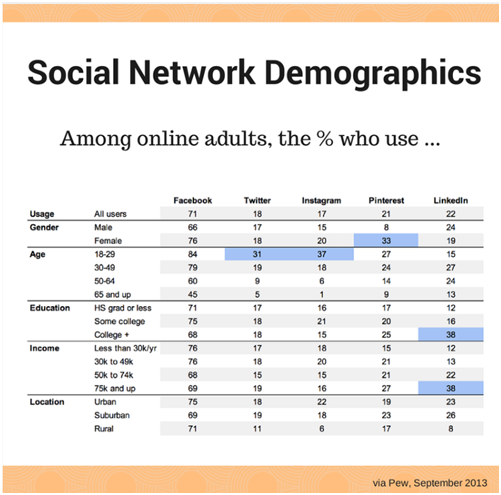 Instagram and Pinterest can interest you as well. Design your website to attract suppliers allotting a special page with a contact form or a pop-up with a chat box. Neighborhood stores or corner stores might be willing to collaborate with you to offer you niche products on a recurring basis. Some hobby enthusiasts might be making “aroma candles” to “handmade soaps” for just fun’s sake. Try getting hold of them and convincing them to team up with you on a regular basis. E-commerce websites like Amazon, Alibaba, eBay, Target, Walmart and Costco can get you millions of suppliers in a minute. Have a glance at Quora or Reddit. You might find some suppliers looking for regular income and you can nab them there. Search for Wholesalers like Jo-Ann fabrics and product liquidators like Bulq or Optoro who deal with excess merchandise liquidation. But be cautious to sift the stuff thoroughly for damaged ones. Connect with crowdfunding platforms like Kickstarter or Indiegogo which have zillions of budding entrepreneurs flaunting their wares and looking for funding. Etsy is the one-stop shop for subscription suppliers but not the only one. Moneypantry gives you a list of Etsy alternatives like Zazzle, Foodzie, ArtFire and Cargoh. Just check them out. Global markets sites like Indiamart, Koreabuys etc. offer ethnic products from local suppliers of their national origin. Bundle up an assortment form different countries to give an eclectic mix of curated products. Trade fairs attract small and medium-sized vendors looking for business opportunities. Make sure you be there to connect with the right vendors. Reach out for vendors by creating content on blogging sites, consumer trend publications like trendwise or subscription reviewers and influencers like Mysubscriptionaddiction. Zeroing on vendors is easy but have 3 things in mind- their capacity for supply, your profitability on their pricing and their trustworthiness. After procurement, it’s pricing, right? Hang on! The sole objective of starting a subscription box business is “recurring revenue” and the fundamental step towards achieving it is to price the box right. If you were to read in depth on types of pricing, scores of them would come up like cost-plus pricing, demand pricing, competitive pricing, and mark -up pricing. Pricing strategies involve premium pricing, penetration pricing, economy pricing, psychology pricing, etc. 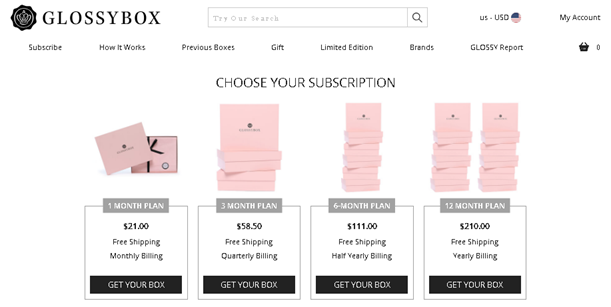 One or many of these pricing methods can be adapted to your subscription box. Labor or Fulfillment Cost – this includes the cost of assembling or curation, packing, labeling etc. this may be done in-house or outsourced. Packaging – the cost of the actual box, duct tape, labels etc. Shipping costs – this depends on the box size and weight. Operational costs -Website maintenance, marketing etc. Transaction costs – credit card commissions etc. Imagine you have 100 subscribers, you will earn $1050 per month as profit and $ 12,600 per year. Here we have included the cost of overheads while some won’t. But it is always wise to take in physical overheads into account so as to work out on the profitability of the venture. This is because at a later stage when your enterprise grows, these overheads may overshoot other costs as the number of employees and their salaries increase. In order to have a tight rein on finances , it is better to include these overheads too. Right, so we have now fixed the product price and estimated your profit margin. Is that all? What about the customer’s value for money? 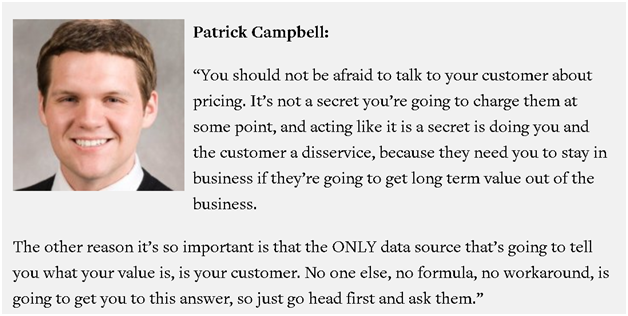 As Patrick suggests, do some test analysis of pricing by asking customers firsthand what price they would be willing to pay for as far as your product pricing is considered, the customer’s decision is final. Gabor-Granger technique- asking people at what price they would buy your box willingly, then scaling the price and asking others and finally evaluating the number of buyers at +,- and intermediate price levels. At what least price would you consider the product to be of inferior quality? At what least price would you consider the product a bargain? At what most price would you consider buying the product even you think it expensive? At what price would you consider the product too expensive to buy? This technique is not only an indicator of optimum pricing but also gives a price range in which your product can be accommodated. Brand-Price Trade off – asking people at what price do you think your product should be placed vis-à-vis other brands in your niche. Like the Bible says, “ask and you shall receive” all the answers and solutions to help you fix the price of your subscription box. Offering one price for a product is the worst mistake one can make says Nathan Barry in his article on pricing. Even if it is a single product, the value perceived by 2 different customers is different and so is the price. If you introduce 2 products – one called “premium” and another “bargain”, 20% of the customers took bargain while 80% were onto premium. Now if you bring in a third intermediate option as “super-bargain”, *0% switched to “super-bargain” and 20% went to Premium while bargain was left with 0 customers. This is the impact of price-tiering based on perceived value. Patrick Campbell suggests that “the number of pricing tiers depends on the types of customer personas”. 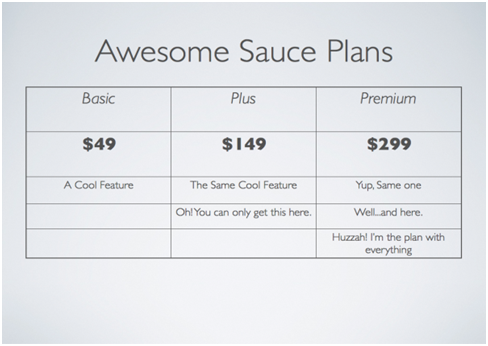 For instance, you can have 3 basic tiers – average, plus and premium like this. “High to low ” or “Low to High” pricing doesn’t matter as long as you have the mettle to carry it off. But according to Lincoln Murphy, listing from high-to l-low works statistically better. Since subscription has a lot to do with repeat buys and loyalty, setting a price on the duration of the subscription seems to be a cool idea. 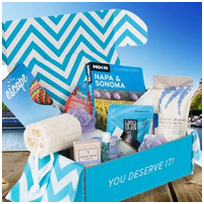 Birchbox goes an extra step further offering a free box for a 3 month subscription and a special gift for 6 months. Customers who chose an annual subscription plan, get a hefty discount on price called the “annual discount” or ” something like one box free”. LipMonthly goes one step further offering “3 boxes free” on an annual subscription. Smashing deal, isn’t it? Deals and discounts must be worth grabbing. Remember if you want your subscription box to be “priceless”, you have to catch the pulse of the customer or else your box will price “less”! Only the right kind of packing can ensure that the products reach safely and undamaged, to the customer. “Unboxing” the box becomes an experience in itself and has been popularized by videos. Your subscription box must be packed in a durable box of the material with adequate packaging fillers inside. Do not compromise on box quality or avoid stuffing filler material to reduce weight. Your product has to reach the customer in a single piece which means it has to be packed in robust boxes with adequate protection. Choose the right size for your box by experimenting with some sizes to select the ideal one. Before we delve into this subject, understand the subtle difference between packaging and packing material. The packaging material refers to the outer container or box while the packing material refers to the stuffing or filler material used to protect its contents. Match the products. No over-sizing problem as one miler can fit 1 T-shirt or 3. Save labor as they do not require taping and sealing. These envelopes come with their own seal strip for locking the contents. These bubble mailers are used to box clothing, soft toys, jewelry etc. Even Etsy recommends using bubble mailers to pack T-shirts, sweaters, and jeans. 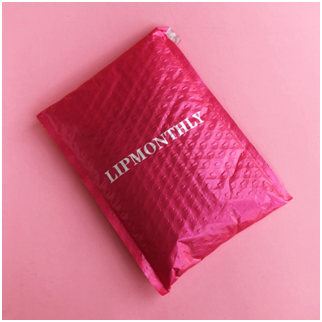 LipMonthly‘s packaging below is obviously in a bubble mailer but one that is printed in pretty pink to create a stunning effect! Paperboard mailers are rigid envelopes that are used to pack materials that should remain unbent. 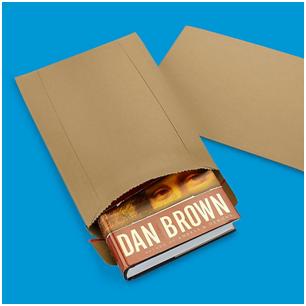 These mailers lack internal padding but are made of sturdy Kraft board to ensure that the contents remain intact. Paperboard mailers are used to pack calendars, stationery items, books, art and craft material, CDs etc. 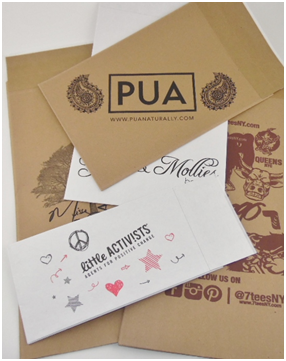 These are regular flexible envelopes that are used to pack greeting cards or letters. They can be used to pack ties. scarves, handkerchiefs, baby clothing, fabric sample and even golf shirts. This is a cross between a mailer envelope and a box. Best for packing books or stationery and craft items, this mailer box is economical and ergonomically effective too. Your subscription box might look normal but you can turn it into an extraordinary one by unleashing your creativity. Right from multi-colored boxes to wooden crates, subscription entrepreneurs are trying out various means to innovate box packaging. From Mostess’ minimalist design to Salty Mermaid’s unique style, everything has been attempted to make the box simply bombastic! Greenpackaginggroup is an industry expert who gives you sterling advice on subscription box packaging. Bubble Wrap is a roll of bubbled paper that is used to pack fragile items like crockery, figurines, watches. perfumes, wine bottles etc. Even bottled food items like jams, pickles and sauces have to be bubble-wrapped before packing them in boxes. Fastpack gives you different varieties of wrapping material at a competitive cost. Tissue paper is an eco-friendly alternative to bubble wrap but this will not work to wrap glassware or fragile items. Looking similar to wood shavings, this shredded paper is used as filling material to keep the contents of the box without shifting. Unsuitable for delicate items, this can be used along with food or cosmetic pouches, pet supplies etc to give fullness to the box. These styrofoam pellets are also used as fillers but if your box is harping on eco-friendliness, it’s best to avoid this. But they are strong and ideal to cushion fragile items. Do not think of designing a customized box until you reach the target of at least 500 subscribers. Till then, simplicity is best. How to make your box look branded, then? Use colourful customized stickers and labels which are economical and effective in brand promotion. Shipping tape – a classic Brown tape which is sticky, sturdy and water-resistant. Masking tape- best used for labeling as it can be written and is easy to rip. Filament tape- similar to shipping tape but with inner plastic lining making it difficult to rip. Duct tape- the sturdiest tape reinforced with plastic or cloth, extremely resilient and ideal for heavy boxes. Do NOT use scotch tape, medical or electrical tape for packing. When you are just starting out your subscription box business and want to keep your fulfillment costs low, you can safely opt for brown Kraft boxes and use stickers for branding. Why stickers are a cheap alternative? Stickers are cost-effective and easy to print on ink-jet. They are available in multi-color options and can be printed with graphics for your logo. They can be used to seal tissue paper or bubble wrap around your product instead of tape. They are available in different shapes, sizes and finishes. Stickers are best when you have 200 subscribers but it is best to switch to printed boxes when you cross 1000 subscribers. nature of the products- perishable, fragile, moisture-absorbent etc. The size of the box decides your shipping costs. The cheapest shipping option, USPS shipping goes by volume and not by weight. So even a few inches here and there can add dollars to your shipping. Apart from these attributes like size and weight, the design of the box plays a vital role in enhancing the subscription shopping experience. Let’s take a look at it next, shall we? to get your subscription box noticed instantly and talked about? to give your subscriber the joy of receiving “something wonderful”? to create a distinct difference in your niche with your subscription box? to add to the excitement of “opening the box”- the unboxing element? Well, all this can be achieved only by adding visual appeal to the subscription box by DESIGNING IT. Unbranded boxes go unnoticed while branded ones have a “recall”. How design enhances the visual experience of a box? Statistics from Dotcom distribution state that 52% of the customers were willing to make repeat purchases from an e-retailer if he delivered products with PREMIUM PACKAGING. 62% of the viewers who saw unboxing videos had an intent to purchase the subscription box. Evolve a unique design that conforms to your box and its value proposition. Seek professional help if you feel you are running out of ideas. Go for a minimalist design if you are just starting out. Choose a catchy name, logo and a tagline or brand message to both express and impress. Develop the design keeping the material, texture, printing process etc. in mind. Take a sample from the box-fabricator as the visual artwork in PDF may be different from the printed sample. Every design aspect of the box must connect with the customer. The design must offer a professional statue to your business. Unleash the creativity in you- make the box unique and noticeable by its shape, material or color. Many subscription entrepreneurs have experimented with shapes to give a unique touch to their subscription boxes. 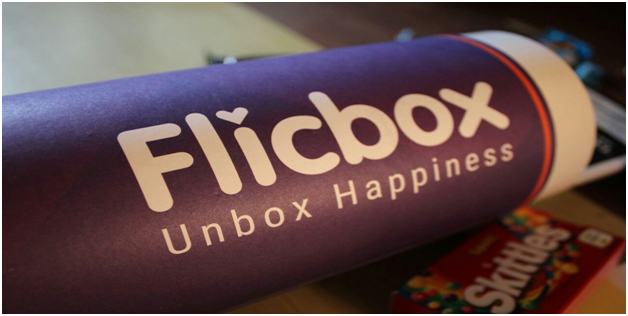 Chocolate subscription box Flicbox has gone tubular with its box design. Chococurb goes for this unique pillow design for its box Chococurbnano. First impressions count and to catch the attention of the subscriber, subscription boxes are designed in unique shapes. But remember, such unique die-cut designs are expensive to fabricate and may burn a hole in your budget. So do not splurge until you have at least a 1000 subscribers. Conform to your product and niche. For example, beauty boxes go pink, food boxes have green and yellow and so on. Comes out best with your printing process. Basically, there are 3 types of printing processes used- lithographic, flexographic and digital. Color rendering is best in litho but the process is expensive. 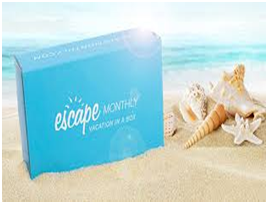 You want in the foreground or background- Escape monthly vacation box went reverse with blue on the background and white lettering. Their box design was well appreciated. But sadly, they have discontinued the box service currently. Top and inside printing are 2 options- Escape monthly went full steam and did both to give a difference. Again cost is the key factor to consider here. By now, you would be ready with a brand logo and tagline for your subscription box with standard colors and typeface. Make sure they appear in the standard format on all your boxes to give the “branding” effect. Kemi board- Kemi board is advised only if you are using a flood of colors or reverse-printing on a box. It offers excellent color-rendition but is expensive undoubtedly. It offers a satin finish that is stain resistant but its cost is nits hindering factor according to Salazar, the packaging expert. Do you want to add some value to your box? Here are some ideas. Thank you cards – a simple thank you note can do wonders with its personal touch. Use IdeaChic’s specialized services for subscription boxes for this purpose. 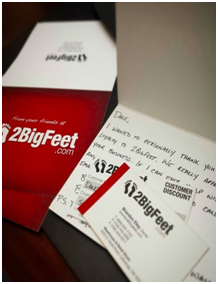 Personalized notes-TrunkClub and 2big feet are big on personalized notes which are part of every box. 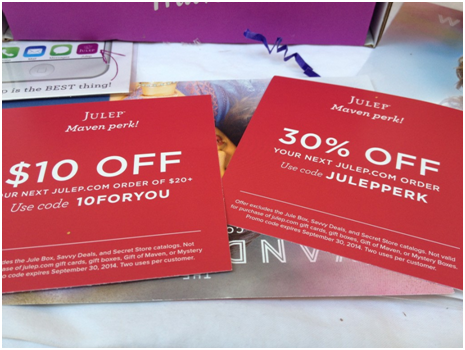 Coupons and discounts- Adding discount coupons is a brilliant idea that Julep follows to induce the customer to make a repeat purchase. Product samples – Some boxes include samples of unlaunched products to gauge customer’s response. 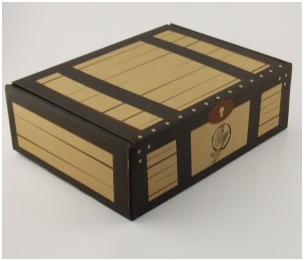 Surprise gifts- Surprise your customer with an unexpected gift to make your box more dearer to them. Subscriber count- branded packaging works only if you have at least 300-400 subscribers a month. Order quantity- Flexography is used for branded packaging and the cost works even if you have at least a 1000 boxes order. Rebranding- Rebranding will double up packaging costs for you as changing the design on the pack means changing the printing plates. Better to avoid this. Sizing – Decide your box size rightly after a lot of market research. Test marketing might reveal to you that a 4 pack box design is far better than a 6 pack one. Packaging alternatives- do not fix your mind on the box concept. There might be cheaper alternatives like envelopes, pouches, cloth sacs etc. Have a think. Remember “packaging” is the best “brand ambassador” for your subscription box. Let it pack a punch to give profitability to your subscription boxes. Shipping subscription boxes take away a good chunk of your time and money. If you don’t plan it right, you are going to end up losing more money than at Las Vegas. What does shipping depend on? Even 2 centimeters. meant some cash and every penny counts to reduce your COGS (cost of goods sold). Size matters as USPS cubic pricing are based on volume and not weight. So the size of your box or its dimensions l, b, h determine the shipping cost. A new concept called Dimensional weight was applied to large-size, lightweight packages. DIM weight applies only for USPS Priority Mail packages whose size exceeds 1 cubic foot and which are transported to US Zones 5-9 (Get USPS Zone chart for reference). USPS offers the best rates for packages under 2 lbs. USPS Cubic Pricing is the cheapest for parcels weighing less than 20lbs. The cheapest means of shipping subscription boxes is by USPS and this plays by volume. USPS cubic pricing is based on volume. It works out cheaper as a 5x5x5 box can hold 1 or 10 pounds but still costs the same as per volume. So planning your box size and volume will save you a lot of money. UPS – Reliable and ready service with cheaper freight costs for heavier packages than FedEx. FedEx – fastest yet expensive service. their Smart Post is a clever option for large but low- weight packages weighing less than 20 lbs. DHL – cheapest ad best for international shipping with a network of 220 countries. Delivery time- timely delivery is a part of the customer’s shopping experience. Most customers prefer “next day” delivery as the premium options. Customer support- 24×7 customer support is an absolute must from shipping carriers. Office pick-up- Pick-up of parcels from your warehouse or office is definitely preferable. time-saving whereby more business activities can be planned. Shipping labels are a must to name the addresses correctly to ensure the correct delivery of packages. Reserve a space for the label during the design of the outer surface of the box. Use shipping apps like Shippo or Shipstation which combine label and postage as well. This Free App integrates with several shipping carriers and helps you select the best. It has a centralized dashboard to connect with your shoppers and suppliers. Shippo prints your shipping labels, tracks parcels, notifies customers and submits refunds. the best part is it not only displays carrier rates but offers lower USPS and international rates. Shipstation is a cloud-based app that imports your orders from your e-commerce platform, prints labels, notifies customers, tracks parcels and even generates return slips. ShipMonk is the leading shipping and fulfillment provider for subscription boxes. Here is what they do. Kitting and assembly -the day ShipMonk assemble the boxes, they send you 3 photos – of the product laid in the box, the product presented in the box and finally of the closed box. Happiness Engineer- a person is dedicated towards satisfying the fulfillment needs of your box. Flexible shipping costs- they give various options to ship economically to 30+ countries. Storage costs- ShipMonk charges for storage as small bin, large bi, shelf space, pallet or climate-controlled storage until the products are shipped. How shipping works with ShipMonk? An email with tracking number is sent to the customer. So be smart and save on shipping by using these pointers. Think of using other packaging alternatives like bubble envelopes , mailer boxes or rigid envelopes instead of boxes to cut costs. Plan your shipping with plenty of lead time. Earmark a shipping date for all your goods and inform your customers. Slower shipping reduces cost. See if you can gain time. Use fulfillment partners – it works out cheaper. Keep researching for better packaging and shipping options. With shipping safely tackled, let us focus next on the”big bang”- choosing the right tech platform. Choosing the right Tech platform for your subscription boxes. You have built a subscription box alright but what about payment acceptance and processing from subscribers or discharging payments to vendors for the products? If all this has to be streamlined and done swiftly, you will need an e-commerce platform for your subscription box. A website and/or an e-commerce platform – Your e-commerce platform might include a website builder and a recurring payment billing system. If not, you must get these 2 done separately. A recurring billing management system – This is integrated into the shopping cart of your e-commerce platform. It is specifically tailor-made for recurring payments whereby it sends automatic alerts to customer son credit-card expiry. A payment gateway – this is linked to the customer’ s shopping cart or the billing system. Cratejoy– A complete E-commerce platform exclusively for subscription commerce with special features like referrals, shipment management etc. Lemon stand– a general purpose e-commerce platform supporting subscriptions. Magento -an open source flexible shopping cart system with 3rd party extensions offered for subscription billing. WooCommerce – a general purpose WordPress-based open source shopping cart system with a plug-in for subscription commerce. What to look for while choosing a platform for your subscription boxes? subscription-friendly with features that simplify your subscription business- website templates, automated emailing options, analytics, etc.? user-friendly helping you to start your subscription business going, even with bare minimum knowledge? easy to integrate with your shopping cart system? integrated with your recurring billing system? easily customizable or does it require programming knowledge? economical with low transaction fees? equipped with 24×7 support for the problem -solving. So decide what you really want from an e-commerce platform and choose the right one for your subscription business. Are you looking to develop your subscription box store? Contact Us. We have developed a lot of these! A subscription box launch is like childbirth. All those days of hard work are finally going to see the light of the day. Every thought is crucial, every action premeditated, every step is planned and outlined. The launch of the box is a process which takes months of research, planning and strategizing with focus on several fronts simultaneously. Take a look at all that you have to do as planning for the subscription box planning. An E-commerce Platform like Shopify, Cratejoy etc. Design a launch teaser in the form of an ad or a video. Create a Launch Page on your website with a relevant CTA for the audience to respond. Remember, your Launch Teaser and Page are the ones that are going to rope in the first subscribers. So design them innovatively and informatively, highlighting your value propositions. Let your Launch video be short and crisp lasting just a minute but connecting well enough to make the viewers search for your site at once. The bait – what makes your subscription box just “irresistible” to the customer? The offer – that incentive which makes the viewer feels it’s time to subscribe NOW. Knowledge-sharing – If you want your video or ad to look not just like an ordinary “sales pitch”. Supposedly, Ipsy scored over Birchbox only by knowledge sharing as it had some “value” to offer apart from just making money. Keep this in mind while convincing the customer to subscribe. Do not be disheartened if you have only 200 subscribers. Birch box started with just 40 in a beta test and grew to 3000 plus within a few months. It’s all due to “user-friendly referrals’ says ReferralCandy. Word of mouth can do wonders. Market Research and data analysis are fundamental to finding your niche, updating your box and its value propositions. Do not flood your subscribers with emails. Just use 3-5 which are spaced out in time. Use an E-commerce platform like Cratejoy or Shopify to integrate your subscription box business with vendors and the marketplace. Chart a timeline for your box launch and allow enough lead time for box fulfillment. Intimate the delivery date to customers accordingly to avoid disappointments. There are bound to be glitches. So have a backup plan and a bag of courage handy to face it all. Ahoy, sailor! Set sail on the subscription box business! May the winds of fortune guide you to your destination! Looking to launch your subscription box? Contact us to get some help with designing your launch strategy and execution. grow your subscription box business? To acquire new customers for our subscription box, understand your niche first. McKinsey’s chart also tells us which niches men and women give importance to. 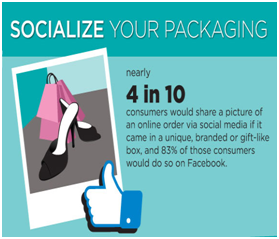 Use social media like Facebook, Twitter, Instagram and Pinterest to create awareness organically. Use buffer or Hootsuite to schedule in advance and post them simultaneously. or emotional connection.” Use visuals and catchy innovatively to lure new Insta followers. Create a separate Instagram account for your subscription box. If needed, arrange a photo shoot of your boxes. Schedule some photos to be loaded on a weekly basis. Don’t be repetitive. Think differently and engage the audience constantly. 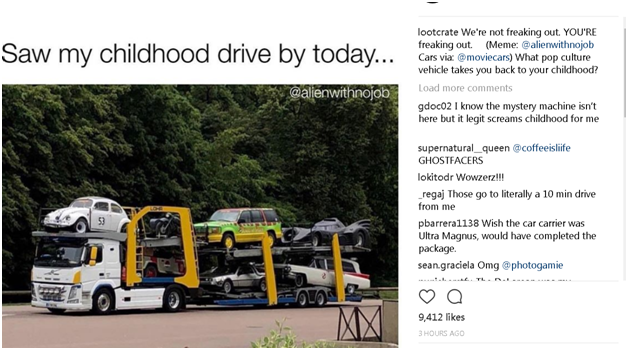 at LootCrate’s Instafeed. It has 677k followers. Don’t talk all product. Create some “off-tangent ” posts that can engage your audience and keep them hooked. Remove discount offer posts on their expiry. 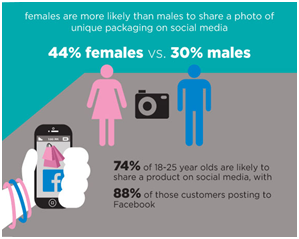 Encourage your audience to post photos with your subscription box with a hashtag for special benefits. Give them an incentive on every referral. Run contests and campaigns on Instagram to add pep to your show. 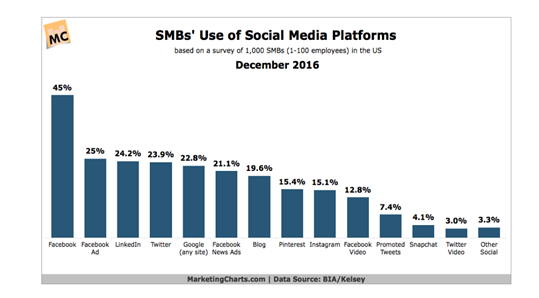 Using paid ads on social media to boost your visibility. Subscription Love, Stylish in Suburbia, My Beauty Box Review, etc. 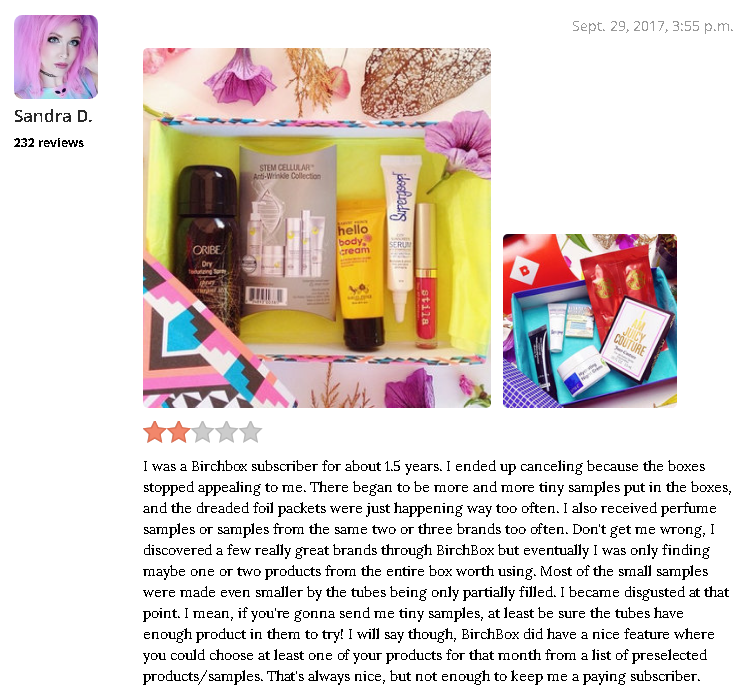 Getting a good review on these sites count but never make the mistake of sending them “pre-launch boxes.” Look at what Liz of mysubscriptionaddiction has to say. These consumer reviews can give you business organically but cannot be manipulated. Get professional Reviews from Bloggers, Social Influencers, Podcasters, and YouTubers. Send free samples to the professional reviewer community consisting of all the above. Bear in mind that some may ask for payment for posting a review or video. Create contests as explained in detail in this case study. This alone itself will get you 100’s if not 1000’s of new subscribers. For a remarketing campaign, three factors have to be borne in mind. The first is that the audience has already been exposed to your box. What must be done to come back to you- an extra incentive, maybe. This worked for GlobeIn which dealt with artisan products from around the globe. The second is the offer. 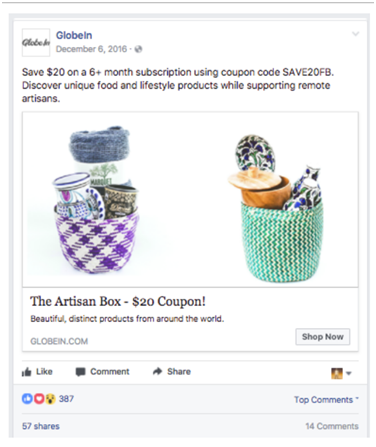 GlobeIn promoted three offers to the same FB audience simultaneously- a Free product with a month’s subscription, $10 voucher on the first-month subscription and $20 voucher on 6 months. They optimized the ad placements to Newsfeed, Mobile, and Right-hand. The third is the timeframe. Keep the offer for just 3 days. An offer for a long time does not attract and turns stale. Followed it up with “you just missed it” kind of ad to spike curiosity. Globein had an 8x ROI within 3 days. Again coming back to GlobeIn, their churn rate for a free box campaign was 90 %. This was because all the people who responded to the ad got free boxes, but only 10% subscribed actually. So GlobeIn shied away from giving free and instead opted for an FB video campaign seeking just monthly subscription. These videos got them 690,360 views which prompted them to expand to “lookalike audiences”. This time they targeted them with an offer – “a free box with 6 months subscription,” and it worked! An affiliate program is one where the affiliate partner is offered a commission for a referral. LootCrate, JulepMaven, Popsugar, and FiveFourClub all have affiliate programs. Build up free giveaway samples for affiliates. Encourage your existing customers to give Referrals. Referrals are a great way of expanding your customer base. Look at what referral offers are on with subscription boxes. a subscriber holds on to a subscription box for just 4 months. 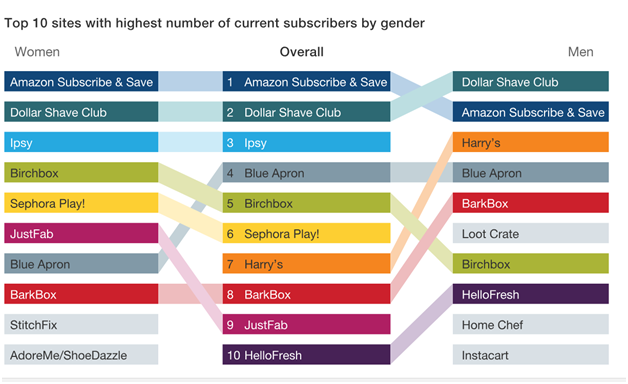 women hold longer than men to subscriptions. To tackle this, here are some tips to address each of the above issue pointwise. Appreciating customer loyalty with special offers – Birchbox awards points for each box bought, and the customer can trade these for full boxes. So the longer you stay, the more you earn. So mull over the above insight and carve your two-prong strategy for your subscription box to expand and grow! Looking to grow your subscription box business? Contact Us. We are good at it! Well, it seems like got the bundle of knowledge about packaging industry, Thanks for sharing data, Keep up the good Work. Are you looking to Increase your Revenue? We are here just for that!